They say that if you want to know about the quality of a business, you should ask for references, and Ocean Divers, a PADI 5-Star IDC and National Geographic dive center in Key Largo, is outstanding. For one, in 2006, the readers of Florida Monthly magazine voted Ocean Divers "Florida's Best Dive Shop" for the seventh year in a row. you're nitrox-certified, Ocean Divers has more than 1 2,000 cubic feet of nitrox ready and waiting. And when you depart for the reefs five miles offshore in the Florida Keys National Marine Sanctuary, you'll do so in comfort on one of two 46-foot custom dive boats, each equipped with easy-to-use ladders, a camera rinse barrel, dry storage, a photo table, marine heads and freshwater showers that include complimentary shampoo and conditioner. 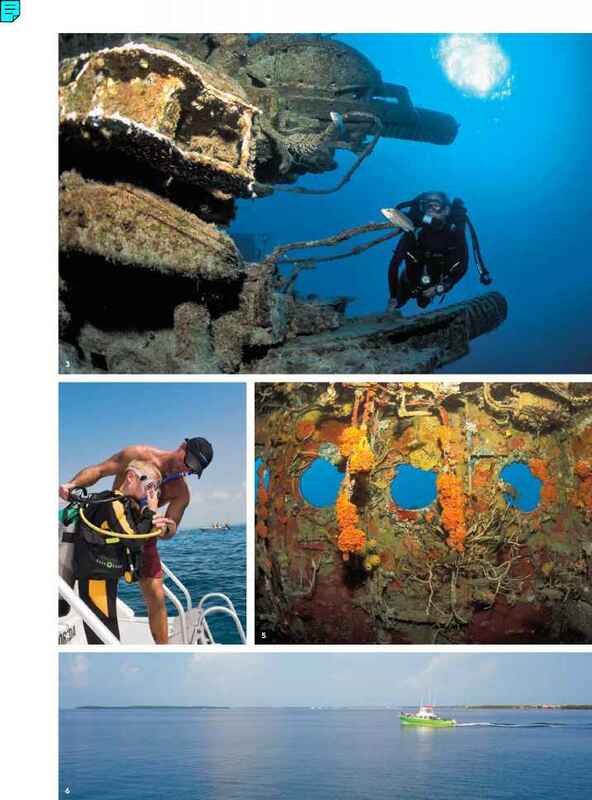 Plus, the places Ocean Divers visits aren't just dive sites; they're bona fide Florida Keys legends. This is your chance to fill your logbook with world-famous names like Molasses Reef, Elbow Reef and outstanding, diver-friendly wrecks such as the Spiegel Grove or the Coast Guard cutter Duane. In addition to being one of the best-equipped stores and charter operations in the Southeast, Ocean Divers is set up to handle all of your scuba-education needs. 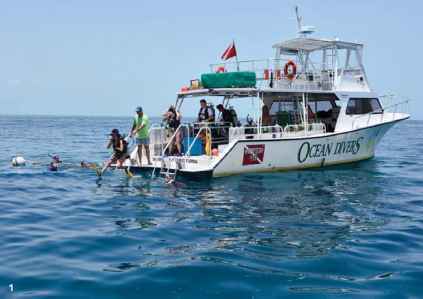 Regardless of whether you're looking for a Scuba Review or an advanced certification such as National Geographic Diver, or if you've decided to make the leap and go pro, Ocean Divers can train you at every level up to and through PADI Open Water Scuba Instructor. 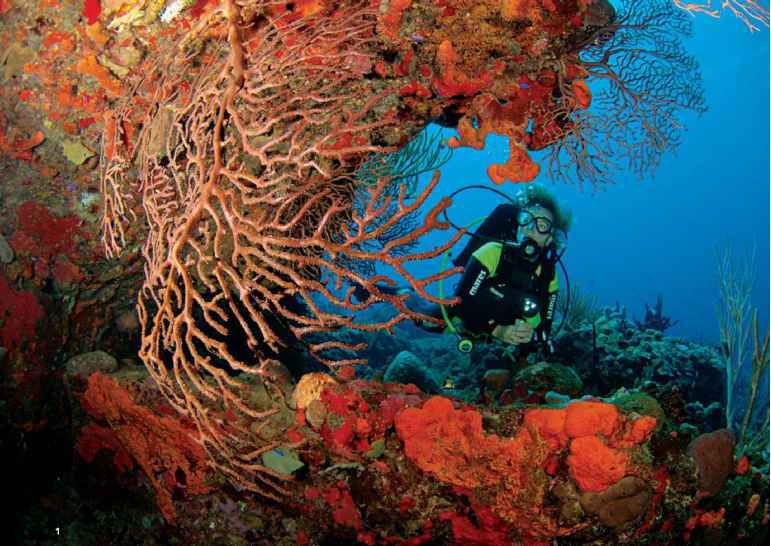 The adventure of the Florida Keys and a dive operation that's set up to do it all — the Florida Keys National Marine Sanctuary and Ocean Divers — just might be Florida diving's unbeatable combination. 1. 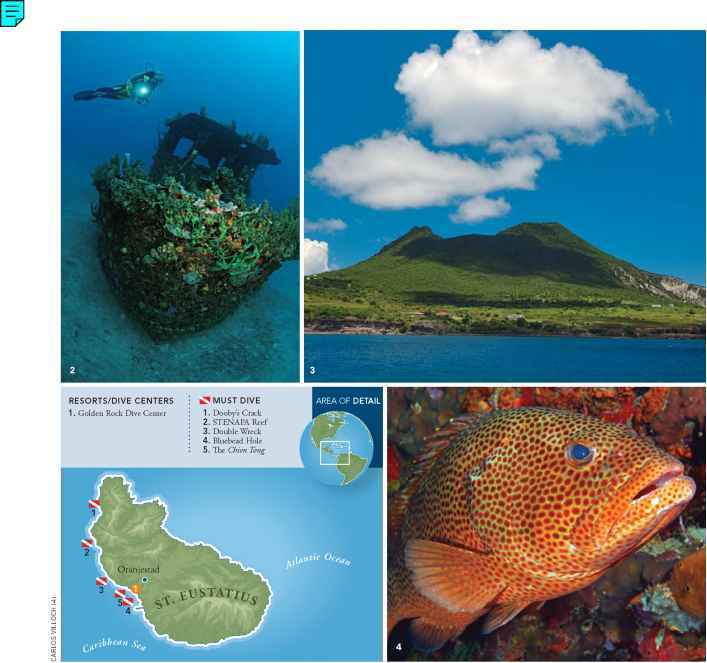 Healhy, coral-and sponge-dense reefs are a Statia hallmark. 2. A tugboat well into Chapter Two of its life. 3. The Quill. 4. A graysby on reef patrol. Five miles in length and only 2 miles wide with a population of fewer than 2,900 souls, everything about St. Eustatius is relaxed. That begins with its name; divers simply refer to it as "Statia." You know you're in Statia by its black volcanic-sand beaches; the impressive, cratered cone of The Quill (Statia's dormant volcano); the sound of tropical birds in the background and the good-natured arguments that erupt among the locals if you ask them a question about the island's history. (Once a key trading stop known as "The Golden Rock," Statia changed governments 22 times in 500 years, so the details can get pretty convoluted). Year-round. 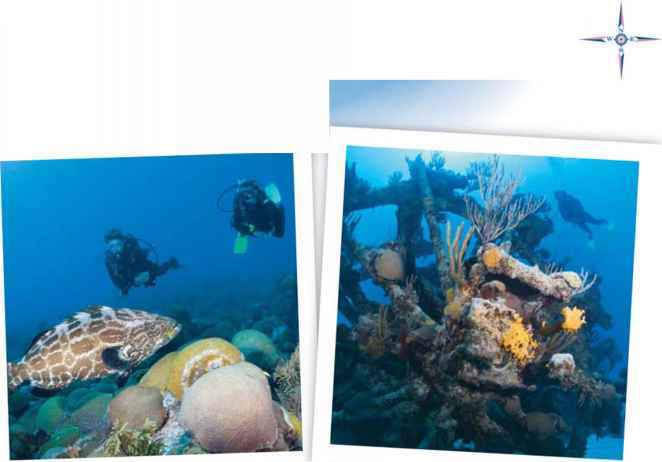 WHAT TO EXPECT: Shore, boat, wreck and live-aboard diving in comfortable waters on a very healthy reef. 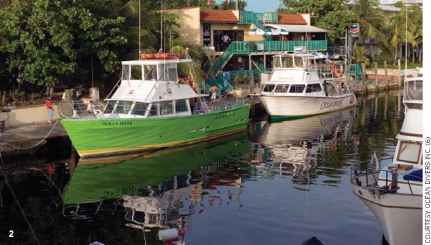 Boat rides are comfortably brief, and the diving is, like everything on St. Eustatius, unhurried, friendly, and absolutely low-pressure. LANGUAGE: Dutch, but most Statians prefer English. TAXES: 7 percent accomodation tax. ELECTRICITY: 110 V, 60 cycles; most U.S. appliances work here.TIME ZONE: Atlantic Standard Time (Eastern Standard Time plus one hour). all protected by the St. Eustatius Marine Park. Fishing and anchoring are permissible only in two designated reserves; in the rest of the park, preservation is the law, and local dive-masters accompany all visiting divers, both to help interpret what they see and to assure that the environment is preserved for future generations. The interesting things to see here range from artificial reefs such as the Charlie Brown to historic shipwrecks, wall dives, reef dives and archaeological dives on which you might find blue glass beads used to reward 17th-century slaves. And underwater citizens here range from nurse sharks and southern stingrays to peacock flounders and flying gurnards. Like the residents of topside Statia, they'll give you something to talk about for years to come.